Six gifts you can give that remove the pressure to perform. What is the solution for the fear of failure? How do you encourage a partner whose feelings of failure are triggered by the most insignificant of circumstances? We have found that one of the most powerful principles in building one another’s self-esteem is: Give your spouse the freedom to fail. When you give your spouse the freedom to fail, you begin to remove the pressure to perform for acceptance. You free your mate to take risks and try again. You free him to excel. Failure then becomes a tutor, not a judge. In the presence of freedom, we learn from failures instead of being intimidated by them. In the absence of condemnation, confidence in how God can use you mounts. If you would like to give your spouse the freedom to fail, we recommend six gifts you can give that will begin to release him or her. Keep in mind that you, too, will possibly fail by taking back some of these gifts. That’s okay. Failure is a part of learning for both of you. 1. The gift of compassion. Every person’s life has a context. During his childhood, your mate may not have experienced a relationship in which he had freedom to fail. Perhaps his “failures” taught him to expect rejection, disapproval, and anger from those in authority. He may have learned to feel that rejection is the natural consequence of failure. Parents, coaches, teachers, peers, girlfriends, siblings, and other significant people gave him a personal heritage of either success or failure. The more fully you grasp the context of your mate’s journey to adulthood and express compassion for where your mate has been, the more freedom your mate will feel to admit failures to you. Whatever his background, your spouse needs your compassionate, consistent, and tireless belief in him. Talk about the context of his life and together gain understanding of past mistakes as well as present ones. Don’t leave your spouse alone to deal with his failures. Tell him that you are unlike those who have rejected him; your commitment is unwavering and your love is consistent, despite his imperfections. In this climate of compassion and patience, he will begin to feel free to take risks and to fail without fear of rejection. 2. The gift of continual affirmation. Years ago, I (Barbara) drove to the grocery store and accidentally backed our van into a couple’s newly painted Camaro, denting it slightly. I felt so foolish, and my apologies didn’t make the dent go away. Understandably, the car’s owners were not happy and insisted on calling the county sheriff’s office. When he joined me at the store, he assured me that everything would be fine—that in the end it didn’t really matter. We both knew I had made a mistake, and it would have accomplished nothing for him to drive home a moral lesson or give me some driving tips. I needed to experience his approval, and I needed to know he wasn’t angry with me. Henry Ward Beecher wrote, “Compassion will cure more sins than condemnation.” One of our favorite verses, 1 Peter 4:8, says it best: “Love covers a multitude of sins.” Continuous, ongoing, unbroken approval in the face of many mistakes and failures of life will build your mate’s self-esteem. 3. The gift of perspective. Jesus said, “You shall know the truth, and the truth shall make you free.” As partners in the pilgrimage of life, we are responsible to speak the truth to one another in order to help balance our perspective of failure. Understanding the truth of God’s sovereign rule—that He is in control—brings an eternal view to your mate’s mistakes. The promise of Romans 8:28—”God causes all things to work together for good”— beautifully illustrates His absolute supremacy. These words offer comfort, reminding us that nothing is wasted in His economy. God can use even our mistakes and failures. Encourage your mate to believe God and, as a couple, ask Him to use your failures for good. 4. The gift of disassociation. Most people don’t realize they can fail and not be a failure. They have not learned to separate their worth as persons from their performance. Many find it difficult to have their ideas, work, or accomplishments criticized. They feel that others are criticizing and rejecting who they are, not just what they have done. In spite of all this, he continued to fail. In fact, he failed 10,000 times on one project before he, Thomas Alva Edison, perfected the electric light bulb. His close association with failure caused Edison to comment, “I failed my way to success.” His mother’s belief in him was the fuel for his inventive spirit. How can you help your spouse learn to fail without feeling like a failure? Try not to discuss a problem in your marriage or family with accusing words such as, “You never…” or, “Your ideas are always…” Those kinds of extreme statements verbally link your mate with her performance, insinuating that she is a failure. Instead, use your words with discernment to help her see the distinction between her person-hood and her performance. Tell her the truth: She is loved by you, esteemed and valued by God, gifted, and yet limited. Call to mind her past accomplishments. Most importantly, help your spouse separate herself from her failures. Focus on her as a person, too, not just on her performance. When your spouse knows how to handle failure without being a failure, she truly has the freedom to fail. 5. The gift of encouraging decisive living. Many times in life, we fail not because we make the wrong decision but because we make no decision at all. Seeking safety and security, we escape to the seemingly trouble-free world of procrastination and indecision. Never venturing out of our protective covering of indecision, we avoid risking a wrong decision that might end in failure. We decide not to decide. You can strengthen your spouse by helping him understand that a risk-free life is also a potentially boring and selfish life. By eliminating risk, we eliminate many pleasures, too. Security and safety are not found in hiding from reality and responsibility. In fact, the opposite is true. Failure ultimately looms on the horizon for the person who avoids the decision-making process. He is riding a fence with both feet firmly planted in midair—there is little stability. If your spouse tends to be overly dependent upon you in decision making, gently begin to send a few more decisions his way. Sometimes verbalizing, “You decide; I trust you, and I’ll back you in whatever you decide” can be very freeing. In this way, he learns that he can make good decisions. Your mate’s good decisions spawn self-confidence and increased trust in his decision-making abilities. Forgive your spouse when his error has affected you. Urge him to receive God’s forgiveness and to forgive himself, if necessary. The act of forgiveness opens the door to healing. The apostle Paul has some good advice in Ephesians 4:32: “And be kind to one another, tenderhearted, forgiving each other, just as God in Christ also has forgiven you.” He also writes, “Bearing with one another, and forgiving each other, whoever has a complaint against anyone, just as the Lord forgave you, so also should you” (Colossians 3:13). Whatever the situation, mistakes carry a price tag. The price can be extra work, suffering, financial expense—or all three. Perhaps your mate’s failure caused you to be late, which you hate. Maybe his failure cost him a bonus, which you were counting on to buy a new loveseat. 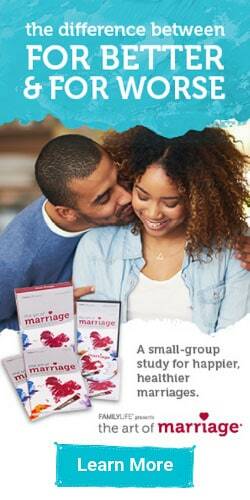 Because of your partnership in marriage, your mate’s mistakes and failures will affect you to some degree. When you forgive your mate’s failures, you give up your right to punish. Forgiveness is an act of the will—a deliberate choice that means you will not retaliate when you feel the other person has wronged you. True forgiveness doesn’t throw your mate’s failures up to him or use them to hurt him. Forgiveness stands with the open arms of a loving relationship ready to embrace. It is illogical for your spouse to resist such an aggressive love. By removing the fear of rejection, you give your spouse renewed hope to keep trying without fear of failure. 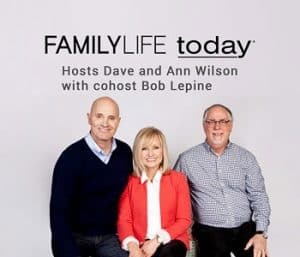 Dennis and Barbara Rainey tell FamilyLife Today® listeners 20 things they have learned about marriage in their 44 years together. Learn more about building a biblical marriage by attending one of our Weekend to Remember® marriage getaways. It’s one of the best investments you could make in your relationship. Excerpted from Building Your Mate’s Self-Esteem by Dennis and Barbara Rainey. Copyright © 1995 by Dennis Rainey. Used with permission. All rights reserved.